Imagine a yellow piece of construction paper, with a few dots in the middle, and that’s where I’m from - in the Canadian prairies in the province of Alberta. It’s essentially one huge farmers field with a few cities and small towns dotted in between. The landscape is actually really cool and you can often see for miles, but I didn’t have much exposure to the ocean. The first time I really got a chance to swim in salt water was when I was 15 in Hawaii, and then again when I went abroad at 19. When I lived in England, I went to an island called Sardinia near Italy. It was an incredible place with the most beautiful beaches I have ever seen. I lived with a family there for ten days and they graciously showed me around their home island. We went to Torre Grande near Oristano, in the summer this beach has multiple clubs and cafes but when I went in the spring it was empty. Swimming is like riding a bike, if you learned how to do it as a kid it’s pretty easy to just get in the water and go. And I can swim fine. But for whatever reason, I felt like I had no clue what I was doing at Torre Grande. The only waves I’d really ever seen were made by a machine- in the wave pool at West Edmonton Mall waterpark. The waves in Sardinia slapped me in the face because I honestly just forgot how to swim for a bit. I stayed so close to shore, even though there was absolutely nothing in that water that could have hurt me. 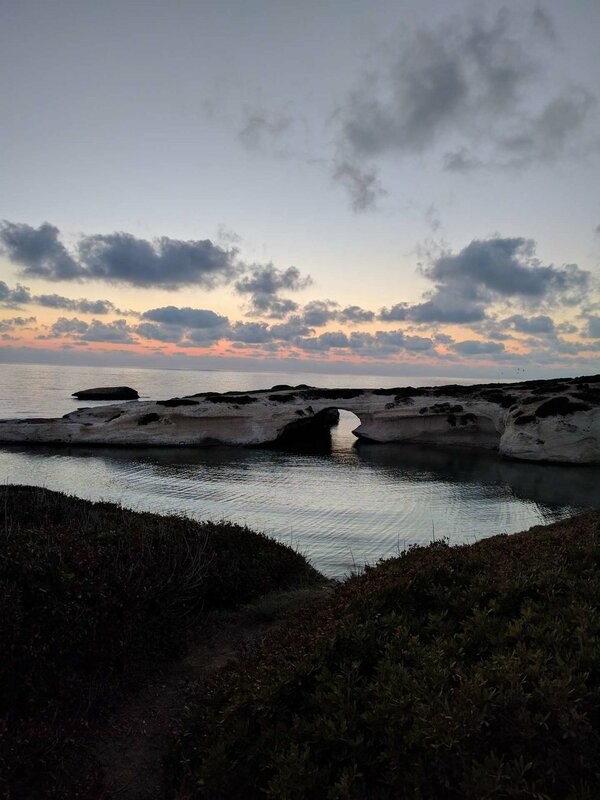 I quickly realized that I was completely over exaggerating by being afraid of the Mediterranean Sea and, instead, I became so grateful that I was actually in the sea on a Mediterranean island, and the only person in the water for miles. Fast forward a few months later to Dubrovnik, Croatia and I’m jumping off cliffs, cutting myself on the rocks, swimming past barriers to abandoned hotels, and carefully navigating around sea urchins (side note- they aren’t all that harmful but if you step on one it’s not going to be a good day). I was still cautious but it was seriously one of the best experiences ever. In Dubrovnik, the walled old city is literally right on the water as if it was an island onto itself. In the middle of the city, there are tour groups covering every square meter. If you go off the main paths a little bit, there are Bosa or holes in the wall of the fortress, where swim spots have been built out of the rock. My friend and I were seriously amazed by this place, and we spent a few hours just sitting there. We also walked about twenty minutes to another beach area, where we were able to find more secluded places to explore. The most terrifying one was at Club Boninovo, on the other side of the walled city near the resorts. Looking out from the rocks, it’s just open water. The waves are significantly bigger and when I was there, they were hitting up against the rocks. It honestly probably wasn’t the best idea to swim here, just because I’m not a strong swimmer. Honestly, it was pretty scary for me. But I did it anyway, each time I went into the water I forced myself to go out farther. I’ve traveled quite a bit but I wouldn’t call myself fearless or adventurous. I’m just impulsive and maybe a little crazy. I force myself to do things I know I want to do, and I’ve become more self-aware through traveling about recognizing when my fears are just unnecessary. The point is - whenever you’re doing a new thing, it’s inherently scary regardless of how mundane it might seem to someone native to that area. The most important advice I can offer to first-time travelers is to not let fears drive your decisions. I had to figure out when my fears were legitimate and when they were just from a lack of experience. In Sardinia, I was totally fine but I felt like a rip tide was going to take me out any moment. I was like 30 inches from the shore. Kate Elizabeth Korte is a freelance writer, student travel blogger, and political science student from Canada. 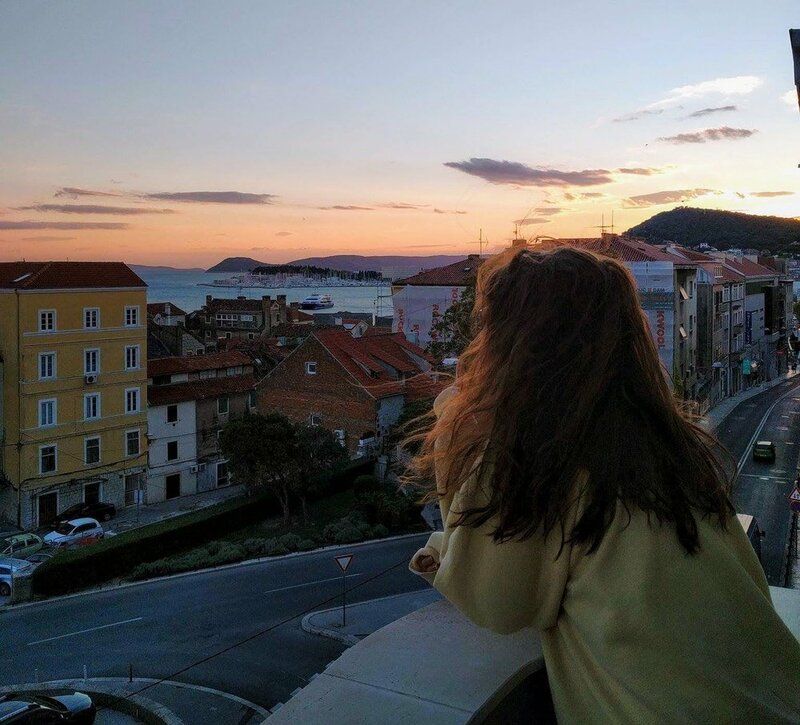 She blogs about her study abroad adventures in Europe, and provides helpful insights on budgeting and trip planning for University Students. Kate can often be found writing in a coffee shop or scanning the web for flight deals.